You have the ability to create another income stream through trading the sharemarket. All you need is for someone to show you how! The Cutting Edge CD Pack includes two key products - the Share Trading 101 CD Pack as well as the Leverage 101 CD Pack. 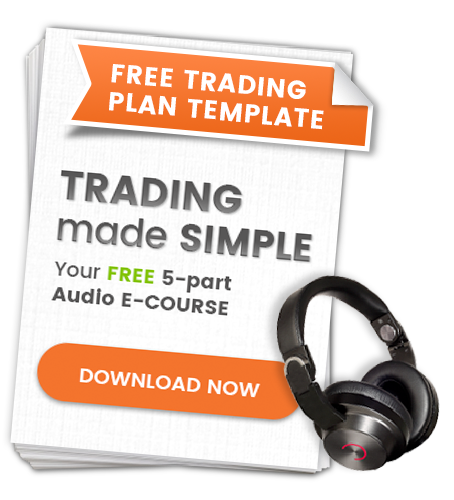 It's the ideal CD pack to give you an understanding about how to get started trading, and which instruments you can use to boost your trading results. In this triple audio CD set, Australia's top trading educators, Chris Tate and Louise Bedford will show you how to implement successful trading principles shared by the world's best traders. Their straightforward, easy to follow approach, will have you up and running quickly and professionally. More advanced traders will find invaluable tips to transform their existing trading methods as well. By listening to this CD set, you will learn risk minimisation tactics, the importance of a written trading plan, specific entry and exit strategies and how to measure your performance. If you're serious about becoming a profitable trader, you can't afford to ignore these innovative techniques. This CD program is designed to assist you in establishing a successful trading business. For those who have already started trading, it will expand your knowledge and provide you with some inspiration regarding some of the more profitable strategies available. So, whether you are a complete beginner, or perhaps have a little experience already, this is the CD set for you. Included on CD1 is a comprehensive study guide in PDF format. In this triple CD set, trading educators Chris Tate and Louise Bedford will show you how to implement leverage principles using some of the most sophisticated trading tools available. Their straightforward and easy to follow approach will help you to evaluate whether you're ready to apply leverage and how to develop winning strategies. Chris Tate (author of The Art of Trading) and Louise Bedford (author of Trading Secrets) have over 30 years of combined trading experience. Their methods have helped thousands of traders attain exceptional trading results. Jason Cunningham from www.thepractice.com.au also discusses taxation strategies in the Leverage 101 set. The 3 Leverage 101 CDs run for 180 minutes in total. The usual price of these two CD sets is $450.00. However, by purchasing them together, you'll save $100.05 and you will also receive 12 months of Trading Game Forum membership (valued at $320.00). So by ordering now, you'll receive $770.00 of value for only $349.95! Order your copy today.